The SouthSide Arts District’s mission is to build upon the community’s vibrant and innovative artistic, cultural, and entrepreneurial heritage to support and enhance economic development in South Bethlehem. WHAT TO SEE, WHAT TO DO! 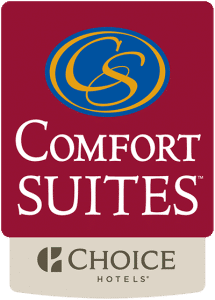 The Comfort Suites is in beautiful downtown Bethlehem only minutes from Lehigh Valley International Airport. We feature free hot breakfast and a lounge and restaurant on site. There is 3000 sq ft of flexible ballroom space. Complimentary transportation is offered for Lehigh Valley International Airport, Saint Luke’s Hospital and the Sands Casino. We are a pet-friendly hotel. Free parking on site. Sands Casino Resort Bethlehem is a hotel and casino is stationed in the heart of the former Bethlehem Steel plant. All 282 soundproofed rooms feature free WiFi, pillowtop beds and LCD TVs, as well as convenient refrigerators and coffee makers. Along with 10 restaurants, the resort has a full-service spa and casino, offering 180 table games including Poker, Blackjack and Craps. Free WiFi in public areas and free self parking are also provided. Additionally, an indoor pool, a nightclub and 2 bars and lounges are onsite. Step out of the ordinary and into the gracious hospitality and distinctive lodging of the Sayre Mansion, circa 1858. A favorite among hotels in Bethlehem PA, we are known for offering luxurious accommodations, historic charm and refined services for individual travelers and select groups.